HÀ NỘI – The Ministry of Finance (MoF) has proposed clearing and freezing tax debts of enterprises totalling VNĐ14.7 trillion (approximately US$655 million) as one of the measures to tackle the difficulties they are facing. Under the proposals submitted to the Government, the ministry will probably eliminate the penalties for late payments of taxes incurred by enterprises that provided goods and services, and were supposed to receive payments from the State budget, though the State has not made all payments. Through the end of 2015, the fines total VNĐ542 billion ($24 million). The authority also plans to erase tax debts and fines for overdue payment totalling VNĐ7.4 trillion ($331 million) for tax payers whose businesses were dissolved or went bankrupt before January 1, 2014. Of the total, more than 86 per cent is owed by enterprises, with the remainder coming from households or individual businesses. In addition, the MoF proposes to freeze the tax debts and charges on late payments of firms and household businesses for which dissolution or bankruptcy happened between January 1, 2014 and December 31, 2015. The amount of the debt to be frozen is VNĐ6.7 trillion ($300.5 million). Explaining the proposals, Phạm Đình Thi, director of the ministry’s Tax Policy Department, told cafef.vn that there were some situations leading to owing tax debts that were not covered in the tax regulations. One of them is the case of firms supplying goods and services serving the State’s infrastructure construction projects. He said that some enterprises made efforts to pay taxes, but still owed penalties for late payments and, under current regulations, they had to use part of their after-tax incomes to pay the fines. “This makes them suffer lingering losses and finally go bankrupt,” he noted. From 2007 to 2013, due to the economy’s sluggishness, enterprises suffered even more hardships, Thi added, thus it was not possible to collect all taxes, especially those incurred by household businesses. Đinh Văn Nhã, deputy chairman of the National Assembly’s Committee for Finance and Budget, said that erasing delinquent tax was a necessary solution to assist enterprises in this time. He further said that it was reasonable to clear the penalties imposed on businesses that had been the State’s creditors, adding that some companies were having difficulties operating as they wait for payments. “It is unfair for the enterprises, if they are fined due to late payments, while the State is not”, Nhã said. 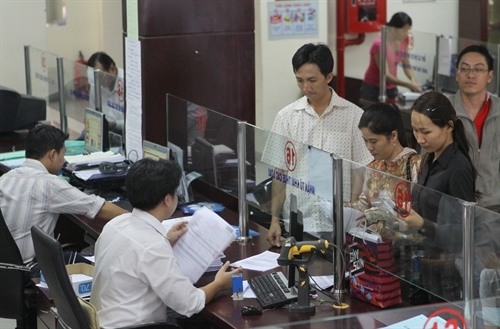 Trần Xuân Thắng, former head of the General Department of Taxation, urged the ministry to specify criteria for enterprises to benefit from this policy. Otherwise, it would be misused by tax officials, he warned. “Tax officials’ tasks are to keep close watch on firms’ performances, thus they must ensure fairness while putting the policy into practice. Otherwise, they have to take full responsibilities for their wrongdoings,” he added.